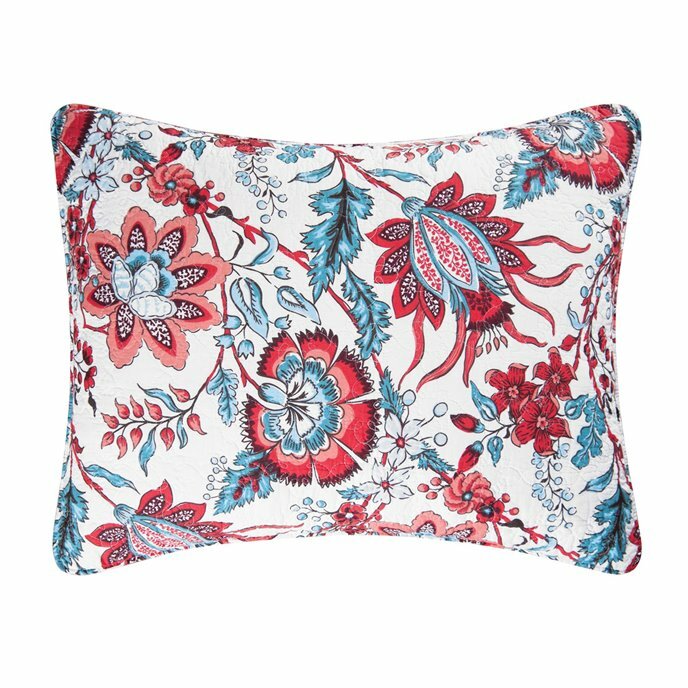 Adrienne Standard Sham is a Williamsburg design featuring Jacobean style flowers, branches, leaves, and berries in shades of red and blue on a pearl white background. 100% cotton cover and filling. Machine wash, line dry. 20" x 26". We offer the complete ensemble in the Adrienne pattern by C & F. Manufacturer's UPC code is 008246332763.